Geeklings, a very Happy New Comic Book Day to you all. Now, this isn’t just a regular New Comic Book Day… no, no, no he said wearing a silly smirk. Today’s New Comic Book Day is quite special. It’s one of those rare occasions that usually takes seven years to happen, give or take a leap year, where the stars align, the comic book gods smile down upon me as New Comic Book Day plays host to… my birthday! That’s right Geeklings, yours truly is celebrating his birthday, today, on New Comic Book Day! Seriously, is there anything better in life? If there is I can’t think of it. I woke up this morning a year older and with new comic books to read. Not a bad way to start the year. I’m sure there are a number of you wondering, “Kevin, how can we get you a gift”, and it is a very common thought to have today. September 26th. My birthday. But don’t worry about it Geeklings, you popping in to read the Pull List is all the gift I need… and comics. I could use comics… always. We’ll talk later. 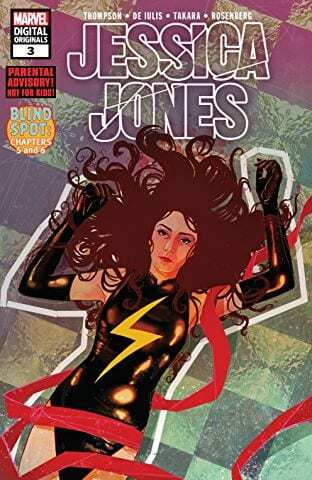 And if I’m speaking candidly, this is quite the New Comic Book Day to be sharing a birthday with. There are tons of books that should be consumed by your eyes today. Soooooo many books, in fact, comprising this week’s list was more difficult than usual, but fear not, I’m a year older and sage in my old age which has allowed me to pick only the very best for you guys. I know, I spoil you. Let’s get to it then! There are comics to be read, song to be sung, and cake to be eaten. Here. We. Go. 1. Heroes In Crisis #1– I must have done something right this year to have a new Tom King event land on my birthday. Geeklings, this is the book of the week and it. Is. Heavy. Wow. Tom King and Clay Mann have presented a book that comes with a gravity that sits on your chest from page one. The concept behind the story is brilliant. A sanctum created by Batman, Superman, and Wonder Woman where heroes can go to heal themselves. A place where they can deal with the everyday trauma of being a superhero. We as comic book fans very rarely account for the mental strain this job must push upon our heroes, and King looks to address that. What happens when a superhero is broken? I would read an entire series just about that. Now throw in the fact that one of these heroes has snapped killing the other patients in the sanctum and you have a book that feels incredibly relevant on a social level and addresses some serious philosophical questions. 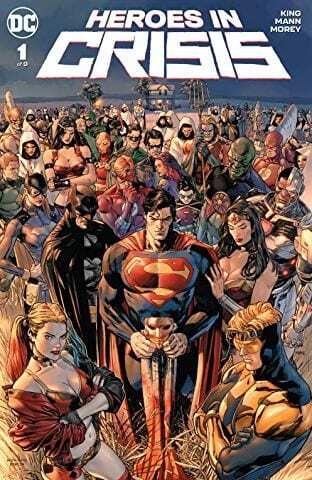 Tom King is the best writer in comics right now and DC has given him, Clay Mann, and Mitch Gerads the reigns to create something truly unique and important. You’re going to want to read this one, but know this, it will pull on your heartstrings. 2. 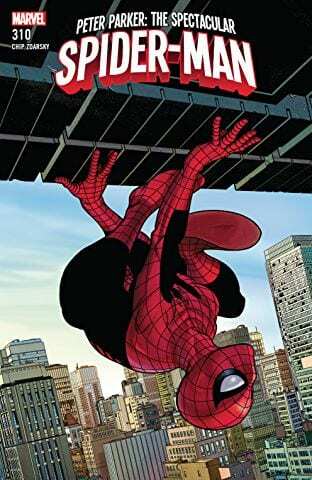 Spider-Geddon #0- It makes sense that a New Comic Book Day that falls on my birthday would be very Spider-Man heavy. I mean, he is my favorite hero after all. This is one of three Spider books out today that you should be reading, but out of all of them, this one has my attention a little more. I don’t know about you guys but I have not been able to stop playing Spider-Man on my PS4. I am in love with this game. So much in fact that I’ve basically been playing side missions because I don’t want to beat the story just yet. That and I want the suits. Well, the kickstart to the Spider-Geddon event starts with the introduction of the Insomanic PS4 Spider-Man to the Marvel Universe. 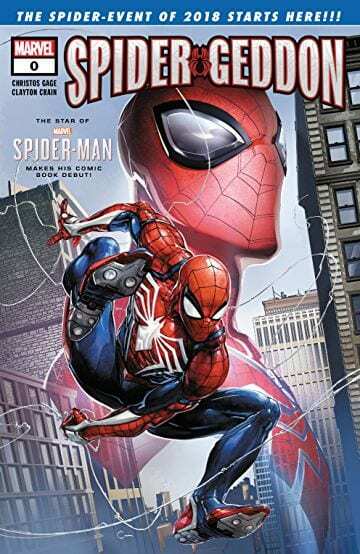 If you’re looking for more from this video game universe and to prep for the sequel of Spider-Verse then this book is for you. 3. 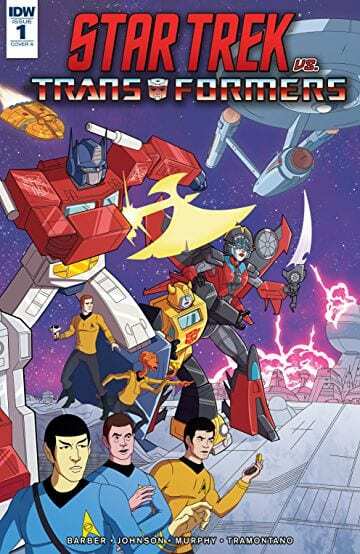 Star Trek vs Transformers #1– You know what, no. I’m not even going to explain why you need to read this book. It’s in the title. Star Trek vs Transformers. Take my $3.99 and let’s all go on our merry ways. Easy sell here. I mean, I just want to see what’s going on here? The very idea that this exists is bonkers and I need to be a part of it. And so do you. You’re welcome. 4. 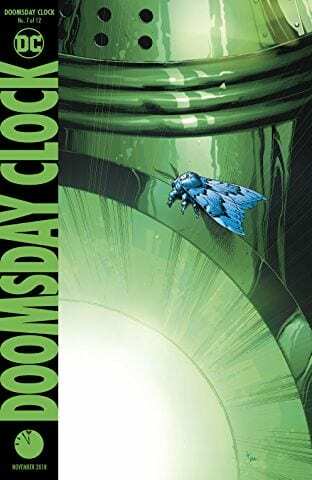 Doomsday Clock #7- Today is a good DC Comics day. If you think the gap between issue six and issue seven of Doomsday Clock has been long then you are correct. This book has suffered a number of delays that have resulted in a bi-monthly shipping schedule, but even that hits with a few snags. On one hand, I want to be upset because I need this book in my life. 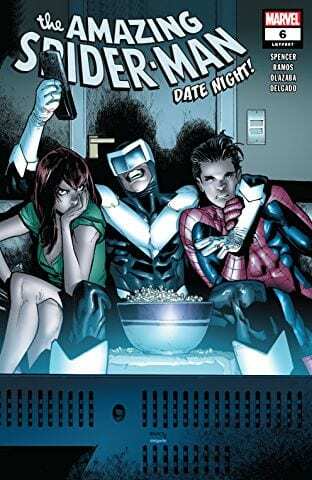 On the other hand, I’m okay with it because I want Johns and Frank to produce the best possible product they can, and Geeklings, holy crap this book. It’s unfair to say it’s a Watchmen sequel but it’s also unfair to ignore that. This series is something incredible and massive and important. Rebirth changed the DC Universe as we know it, and we’re still dealing with that fallout. Why did Doctor Manhattan decide to play with the timeline? When is Superman going to confront him? Well, it looks like we’re finally going to get some of those answers as issue seven will start to explain Doctor Manhattan’s intrigue with the DC Universe and why he messed with the timeline. We’re a little past the halfway mark at this point, and Johns and Frank are giving us a book that is not only loyal to Watchmen but a worthy counter piece. 5. 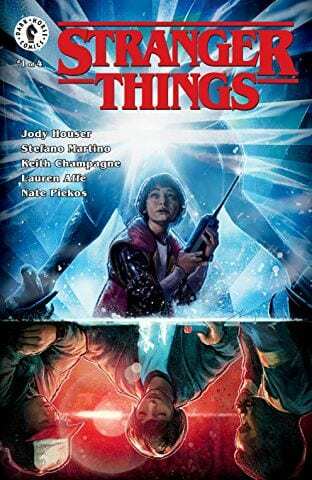 Stranger Things #1– If you’re like me and find yourself not wanting to wait until the summer of 2019 for new Stranger Things then you’re in luck. Dark Horse is issuing a new series that will take place during season one filling in the gaps of what was happening to Will as he spent the majority of the season in the Upsidedown. That means we’ve got a whole bunch of Demogorgon hunting to look forward to. The wait for season three is long, ugh, but this will hopefully help ease the pain while also expanding the show’s mythology and lore a bit. Count me in for pretty much any and all Stranger Things, uh, things. There you have it Geeklings, allllllll the best books to get your mitts on. As always, if you feel like I left anything off then, by all means, sound off in the comments. If you’d like to talk more comics with yours truly, or send some birthday wishes, you can find me on the Twitter @iamgeek32. That’s going to wrap this week’s Pull List column. I’ve got a birthday dinner to attend and some more comics to read afterward. I’ll see you all here next week with a regular New Comic Book Day. Until then, happy reading and many huzzahs!